Of the 4,000 native or naturalized plant and animal species in Georgia, approximately 10 percent are in danger of becoming extinct. Without the help of Georgia’s residents, this number is only going to rise.Unfortunately, most people are either not aware of this problem, don’t know what they can do to help, or simply don’t have the information necessary to make a difference. This is where we come in. Along with the Georgia division of the U.S. Fish and Wildlife Service, we are creating an iBook that will serve as a resource for people in Georgia interested in learning more about at-risk species and willing to do something to help. The iBook will be more than just a book: it will be a multi-functional, interactive tool serving many purposes. The primary purpose of the iBook will be to inform the user of the various at-risk plant and animal species through a comprehensive database. The easy-to-navigate database will include basic information on each species, such as habitat type, distinguishable characteristics, and where in Georgia the species lives. Along with that information, the iBook will have phone numbers and websites readily available to anyone requiring further information. One lesson we learned along the way, was that because there are so many different species of “at-risk” wildlife, there needed to be an efficient way to categorize them. We debated creating categories based off of location in Georgia, type of wildlife, or even a physical appearance based system. Soon after this hurdle was averted, we found ourselves struggling to create all the content necessary to provide the sufficient amount of data for the iBook. 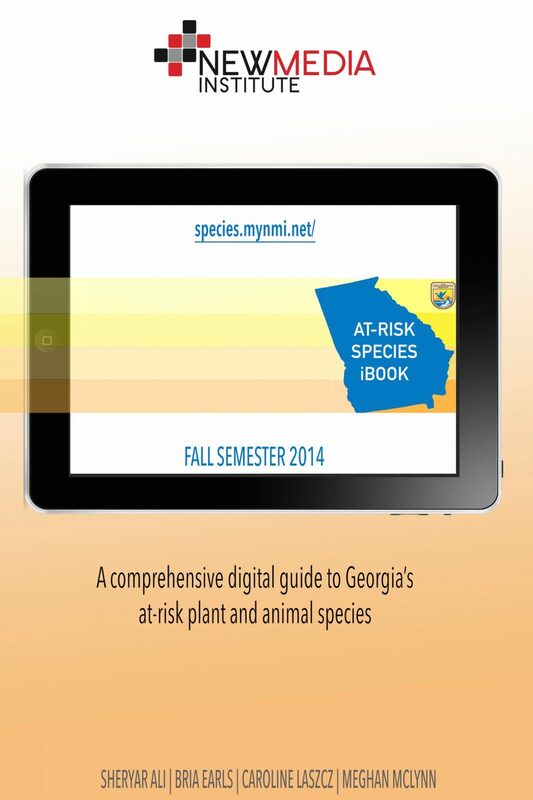 Along with the help of the Georgia Fish and Wildlife Service, we were able to put together an iBook that can not only educate but promote a movement towards a healthier environment for wildlife in Georgia.